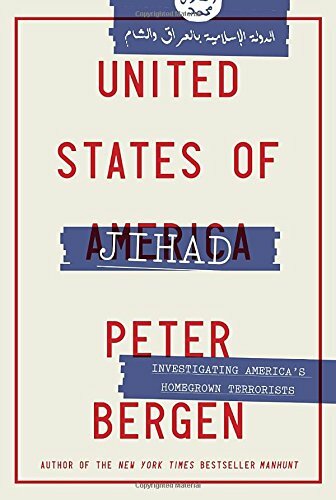 Despite its rather bombastic title Peter Bergen has crafted an intelligent, timely, and important look into the post-9/11 challenge of Bin-Laden inspired terrorism in the United States. Outside of America it’s possible to underestimate the impact that 9/11 had on the psyche and domestic security apparatus of the country. Bergen is a CNN national security analyst, and it’s no surprise that he’s particularly strong on the governmental response to terrorism. Preventing terrorism became the top priority of a host of agencies and spawned the creation of a new bureaucracy of itself. The FBI doubled the personnel focusing on terrorism quickly to four thousand out of the eleven thousand agents they had at the time. But what exactly is the nature and scale of the threat? Bergen’s profiling is a reminder of the difficulty in finding even an intelligent model to understanding what leads to people committing acts of terrorism and the dangers that the actions of a divisive minority have on the five million Muslims living in the U.S. There are, however, some common characteristics that can be extrapolated from the 330 profiles. Many are middle class, non-observant or converts that experience a “cognitive opening” or a serious event in their life such as the death of a relative or huge change of circumstance that sets them off on a passage toward action. Bergen writes that many see themselves as altruistic versus self-serving individuals, “being defender versus aggressors.” As these individuals are vulnerable to recruitment so they are vulnerable to entrapment by government agencies, and Bergen explains that “the FBI has organized more jihadists terrorist plots in the United States than any other organisation,” with no defendant to date successfully arguing an entrapment defense. Some of the militants are self-radicalized and leaderless; some are leader-led having returned from areas of war. A fascinating part of the book that was worthy of a fuller investigation was the “pathway to violence” analysis of behavior used by the FBI. This focuses on the indicators of someone who may engage in violence and how those pathways can be inhibited or prevented. The role of terrorists’ communications is an important one. Bergen charts a pattern of improving and adaptable communication platforms. In 2010 Inspire magazine was released and seemed to be read by “all” the people the National Counterterrorism Center (NCTC) were arresting. The Internet has emerged as a key battleground with there being a few dozen terrorist websites in the 1990s to “more than four thousand by 2006”—ISIS would take the use of social media as a recruitment tool and tactical communication device to another level. The chapter on drones feels slightly superfluous as questions around international law and effectiveness versus generating increased hatred are touched on but not developed. What is more Bergen’s assertion that “Obama would prove to be one of the most militarily aggressive American presidents in decades” is left hanging without a proper argument behind it. Bergen expertly puts the challenge of combating terrorism in proportion as a “persistent low level threat.” He reminds readers that “since 2001 forty-five Americans have been killed by jihadist terrorists in the United States. In that same period, by contrast, forty-eight Americans have been killed in acts of political violence by far-right extremists.” Yet he understands how “since terrorists can strike anyone, anywhere, in a random and dreadful manner, we tend to fear them more than we fear far more common and predictable causes of death.” That fear is exacerbated by the level of coverage of the beheadings of James Foley and Steven Sotloff by ISIS in 2014 that were the most widely followed news stories of the past five years in the U.S.